Jennie's Flowers - In 1954, Jennie Campisi started selling flowers from her husband Adolph's Airview market at Columbus Drive and Habana Avenue. The name 'Jennies' has been synonymous with flowers in Tampa ever since. In 1954, Jennie Campisi started selling flowers from her husband Adolph's Airview market at Columbus Drive and Habana Avenue. The name 'Jennies' has been synonymous with flowers in Tampa ever since. In 1954, Jennie Campisi started selling flowers from her husband Adolph's Airview market at Columbus Drive and Habana Avenue. The name 'Jennies' has been synonymous with flowers in Tampa ever since; as says an old Jennie's Flowers ad, "Quality is not expensive, it's priceless!" 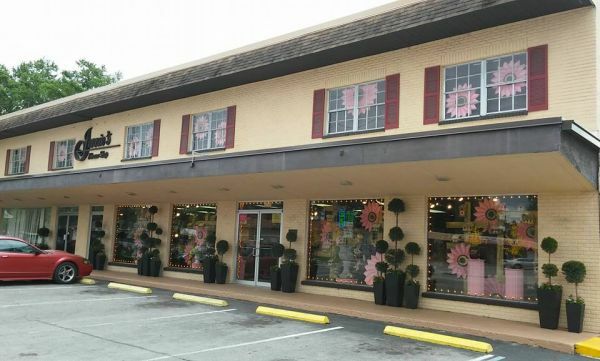 To this day, Jennie's Flowers relies on the same philosophies; it is family-owned, ever-cognoscente of customer service and quality, and still prides itself on offering the very best floral value in Tampa. ANTHONY GROVES fruit has been a tradition for so many families since the 1960's. The style here is unrepentantly lush and romantic… and perhaps ever-so-slightly decadent.